The clear glass jars could be a great addition to any product line. 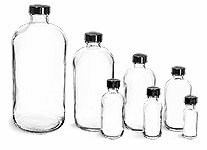 To purchase these jars at the best possible price buy them in bulk quantities at wholesale prices. Be sure to choose 'Add-Ons' to find corresponding caps. 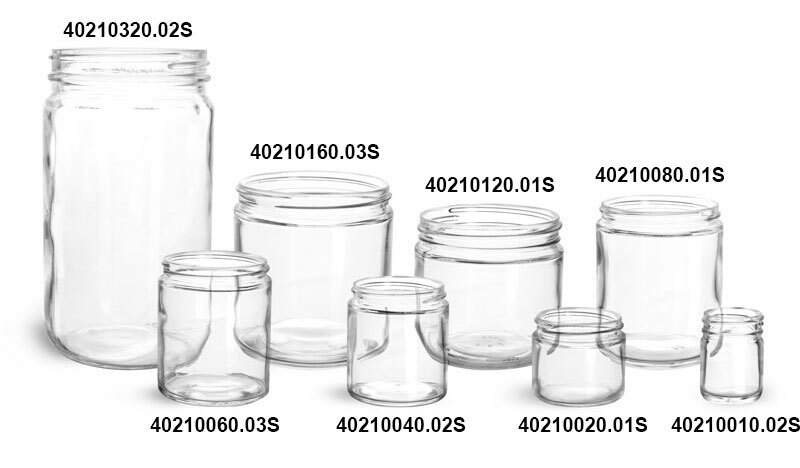 These clear glass straight sided jars are available in a wide range of sizes and come with PE lined black ribbed plastic caps. 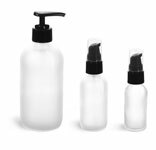 Consider using these glass jars to package a variety of cosmetic or bath and body care products.